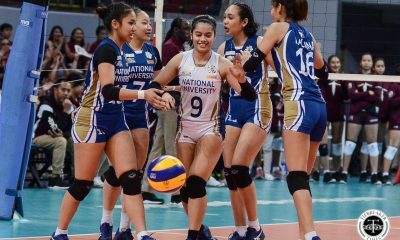 Defending, three-peat champions De La Salle University Lady Spikers have sparked intrigue over the past few weeks, as players have started posting pictures on social media of their buildup for the UAAP Season 81 Women’s Volleyball tournament. Most of the interest stems from the participation of Lourdes Clemente in their training camps. 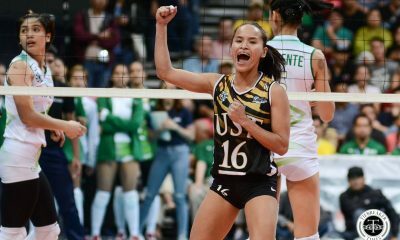 Last month, La Salle head coach Ramil De Jesus said that Clemente’s future with La Salle mostly depends on the towering middle blocker’s desire to further her collegiate career. According to numerous sources closely monitoring situation, Clemente’s debut in green and white for UAAP Season 81 is as good as done. One source says that Clemente perfectly fit the precedent the UAAP set by allowing Fil-Am center Troy Rike to suit up for the National University Bulldogs in the Season 81 Men’s Basketball tournament. Rike had previously played for four years in Wake Forest University. Since he acquired his diploma from a non-UAAP member school, Rike did not need to serve residency and was immediately eligible to play out one more year in the UAAP. Clemente has spent the last four years playing for the University of Perpetual Help System DALTA Lady Altas in the NCAA. 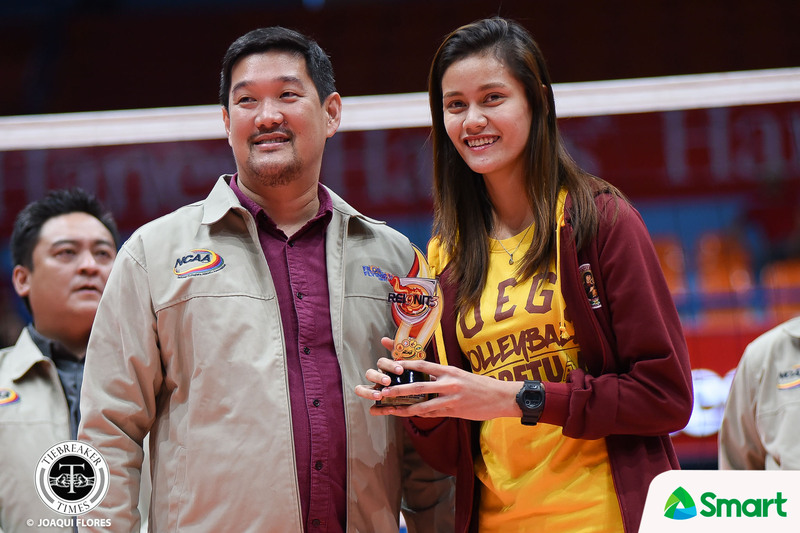 The three-time Best Blocker – who stands at 6-foot-2 – finished her Tourism degree there. Since NCAA rules only allow undergraduates to compete, she was no longer eligible to play a fifth year for the Lady Altas. “Clemente’s case is similar to Rike’s so she is eligible,” said the source. For her part, Clemente did not want to comment on her current status with the Lady Spikers. Speaking with the media yesterday, Clemente avoided making a clear statement, saying she wanted to wait for the official announcement of rosters for Season 81. “For now kasi, hanggang wala pang lineup, ayaw ko munang maglabas ng kahit ano. “Kung lumabas ‘yung lineup, saka ako a-agree. Baka hindi pa ako pwede for UAAP, kasi baka bawal. Baka pag um-oo, magkaroon ng problema,” said Clemente. Clemente first played under Ramil De Jesus in 2017 as a member of the F2 Logistics Cargo Movers in the Philippine Superliga. The 23-year-old is currently enrolled in the school’s Graduate School, taking up Masters in Integrated Marketing Communications.